This and 72 other objects are a part of a set whose first object is Book, Print, Recueil de decorations intérieures comprenant tout ce qui a rapport a l'ornement. This is a Print. We acquired it in 1920. Its medium is etching on cream wove paper. It is a part of the Drawings, Prints, and Graphic Design department. 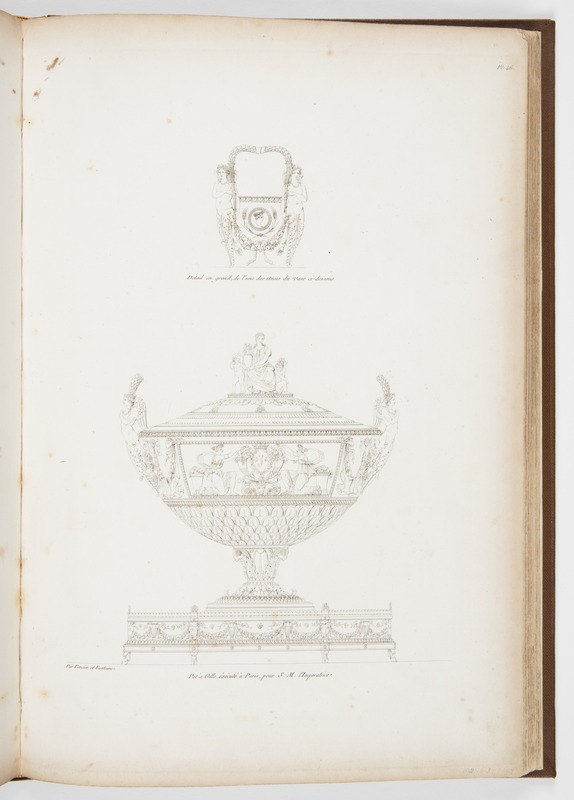 The fact that a pre-eminent architect of the royalist era was able to survive in Napoleonic France is visible in Josephine’s choice of Charles Percier to create table articles, such as this tureen design, as well as the interiors of her residence, Malmaison.